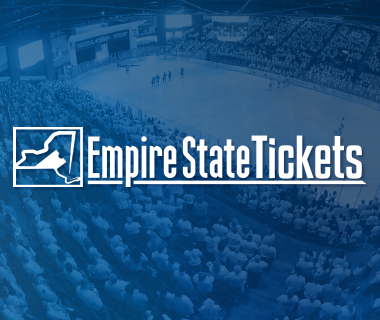 It has certainly been a wild two-and-a-half years for Comets fans in the Mohawk Valley. If you have not heard – (and how could you have not?) 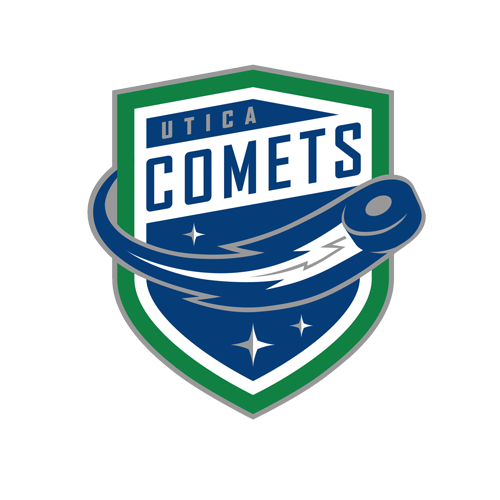 – the Utica Comets won for the 100th time in the regular season on Saturday with a thrilling 1-0 overtime win over the Albany Devils. When milestones such as these are achieved players and coaches alike swear by the fact that they don’t think about it much. So, we’ll do the thinking and reminiscing for them. Without further ado. Here are our Top 10 Most Memorable Games from the Comets first 100 wins. For the first time in franchise history, the Utica Comets were victorious. The 3-2 win at Lake Erie snapped a miserable franchise-starting streak of 10 straight losses (0-8-1-1). Captain Colin Stuart scored to game-winning goal with 2:18 remaining to give Utica, N.Y. their first American Hockey League win in 7,518 days. The final home game of the 2014-15 season was a preview of what was to come for the playoffs. With arch rival Syracuse in town, the Galaxy Cup on the line, and the first tailgate in The AUD’s parking lot the fuse was lit for an incredible atmosphere that did not let up from the opening puck drop on. 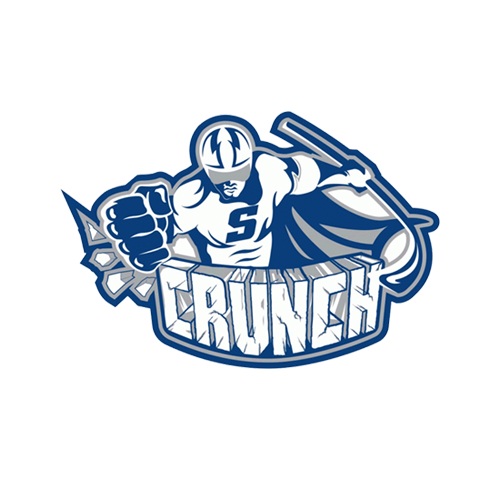 Trade Deadline acquisition Cory Conacher hammered home a power-play goal in the second period and drew three penalties en route to capturing the team’s second straight Galaxy Cup. With a 2-0 lead in the game’s waning minutes, the drama of this game was pretty much taken out of this one. But you would never be able to tell by the crowd’s reaction. Rookie goaltender Joacim Eriksson turned aside 33 all 33 of the Amerks shots for his first shutout, while Yannick Weber and Darren Archibald provided the scoring. Ok, we’re cheating. The Comets did not win this one, in fact it was a wild 6-5 overtime loss to the Binghamton Senators. Had the Comets won this game there is no doubt this memorable moment would crack the top five on this list. Things looked dire for the Comets who were down 2-0, in enemy territory, shooting at an Olympian in net, and the Crunch so far perfect when they have a lead after two periods of play. That did not stop the boys in blue from delighting the Comets faithful that were in the arena and watching on TV at home. Nicklas Jensen and Wacey Hamilton scored just 54 seconds apart to tie the game before Alex Friesen jammed home the game-winning goal that prompted loud “U-TI-CA” chants for the game’s final minutes. A night that honored history made its own mark on history. The night started off an emotional tribute to those who laid the groundwork for making the Mohawk Valley a hockey town, and concluded with the first hat trick in Comets history. Before game action could get underway, eight members of the Clinton Comets that were instrumental in planting the hockey seeds in central, NY, were honored in a pre-game ceremony that ended with their jerseys being hung from the stage. Included in the ceremony was an emotional tribute to Ian Anderson, who passed away a month prior. Once the game started it was all Comets. All the time. The 5-2 win over the Binghamton Senators came on the shoulders of Colin Stuart scoring his, and the franchise’s, first hat trick. He added one more for good measure, and ended the night with a four-goal night. For the first time in The AUD’s 55 years history, banners commemorating a team’s accomplishments, graced the rafters. Two banners in fact, one for winning the 2014-15 North Division and one for claiming the 2015-16 Western Conference Championship, were unveiled prior to puck drop on the home opener. Much to the delight of the sold out crowd, former Comets captain, Cal O’Reilly, joined the newly anointed captain, Alex Biega, at center ice for the banners debut. Hunter Shinkaruk, in his sophomore season, added an exclamation point to the night by scoring his first career hat trick. Hats rained down and Shinkaruk’s smile flashed after the third goal, and eventual game-winning goal, with 13:14 left in the third period. Ever think you would see the owner of the Syracuse Crunch in a Comets jersey? Well thanks to a 2-1 overtime win in Syracuse, the below photo now exists. 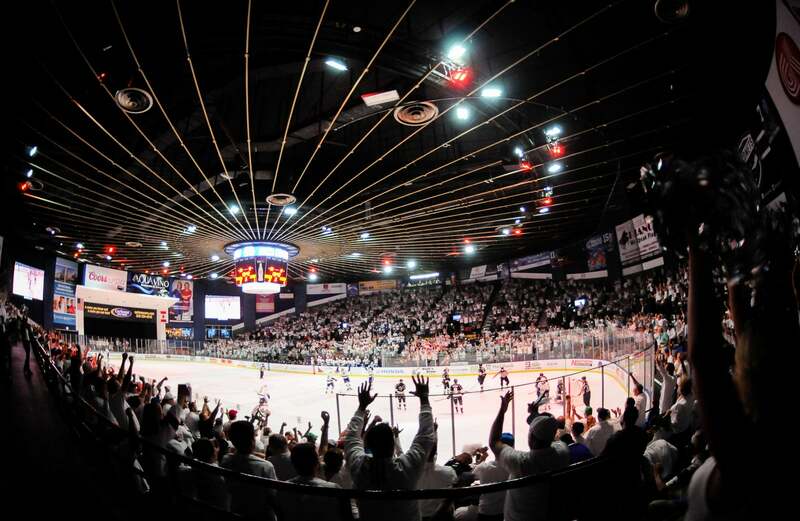 In the Comets first ever visit to the War Memorial, the atmosphere was electric as many Comets fans made the 45-minute drive down the Thruway. The emotional win was capped off with a give-and-go goal between Brandon DeFazio and Cal O’Reilly that featured an O’Reilly spin-o-rama pass. The electric atmosphere is something Comets players and staff are used to, but having it delivered on the road was something to marvel at. 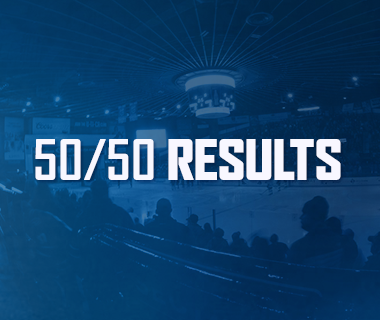 Less than 24 hours after another win on this list (don’t worry, we’ll get to it), the Comets erased a 4-0 deficit on the road, in Binghamton, to win 6-5 in a shootout. The highlight of the game? DeFazio stealing a page out of Nicklas Jensen’s book for the one-handed shootout winning goal. The first time the Comets ever wore green jerseys was during the inaugural season. The game’s tone was set after Alex Mallet emerged from the penalty box and decisively beat a Bobby Farnham in a fight. With 17 seconds left, and down 1-0, the Comets won an offensive zone faceoff that led to Brandon DeFazio’s game-tying goal with 7.3 seconds left. After a scoreless overtime, and both goaltenders teaming up to deny the shootout’s first nine shooters, the stage was set for an Irishman to provide play hero on Irish Night. Sure, including the 100th win looks to be a bit cliché when taken at face value. But dig a little deeper and you’ll understand why. Entering the game the Comets had yet to beat the franchise that used to call Utica home before a bitter departure that left the city without a team for nearly 20 years. For 63 minutes the Comets could not crack the Albany Devils’ netminder. However, the defense held up and only allowed 14 shots, including just one shot in the first period. This set the stage for history. The Comets entered the final day of the season needing a win in Adirondack to clinch the Western Conference’s top seed. It was smooth-sailing for the Comets who jumped out to a 3-0 lead thanks to goals by Darren Archibald, Adam Clendening, and Alex Friesen. The party appeared to get an early start – until it didn’t. The Flames stormed back for two 5-on-3 power-play goals in the game’s final minute. An onslaught of Flames’ shots ensued, but Markstrom and the defense stood tall. 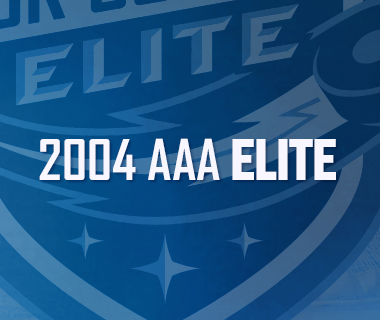 The Comets emerged with a 3-2 victory that set off a party back home – unbeknownst to the players and staff. With hopes of making the playoffs vanquished a week prior, Comets fans sold out The AUD for the inaugural season’s final home game. The win, a 2-0 win, ultimately meant nothing. The emotion in The AUD as the game came to a close is what pushed everything to a new level. Throughout the entire final minute that took an eternity too play due to multiple fights, fans stood on their feet and rained down chants of “Thank you Comets”, and for the first time, “U-TI-CA”. The ovation kept going, even after the three stars, prompting the players to return to The AUD for a curtain call. The emotional send off to summer can be seen in its entirety. 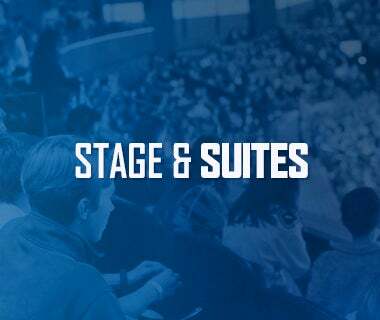 The without a shadow of a doubt most talked about regular season game in Comets history is the Sunday matinee game against the Binghamton Senators. The game ended in 7-5 in the Comets favor, but that is not what is talked about in that one. Two penalty shots, a check that shattered the glass, and eight fights – count ‘em eight – is what is most memorable about the tilt.